The Centers for Disease Control and Prevention (CDC), American College of Preventive Medicine (ACPM), a team of national experts, and PatientLink worked together to design and build a free fall risk clinical decision support (CDS) encounter form. This tool will help you incorporate fall risk assessment and fall prevention into your clinical practice – and enhance your efforts to help older adults stay healthy and independent. You can download the STEADI Fall Risk Assessment tool for free here! Download The Free Readiness Assessment Tool Now! Falls are preventable and can be considerably reduced if high risk patients are identified through screening and receive appropriate follow-up care. If your practice serves adults 65 and older, you should already be doing fall risk assessments. However, many doctors don’t due to time constraints. While time is limited at an appointment, it’s crucial for doctors to help patients develop a plan to decrease their fall risk. The Center for Disease Control and Prevention (CDC) recommends that doctors incorporate fall prevention into their regular practice. Doctors should be informed on what they can do to prevent falls among their older adult patients, such as recommending vitamin D, reducing medications that might increase falls, and referring patients to community programs or physical therapy to improve their balance. 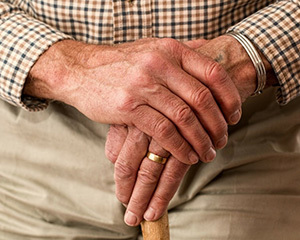 The CDC developed the Stopping Elderly Accidents, Deaths and Injuries (STEADI) initiative to make fall prevention a routine part of clinical care. STEADI includes a clinical algorithm, adapted from the American and British Geriatric Societies’ Clinical Practice Guideline, which helps sort patients by fall risk level. Although doctors found the algorithm useful, they wanted it integrated into their Electronic Health Record (EHR) systems. The CDC partnered with the American College of Preventive Medicine and PatientLink to create an EHR Clinical Decision Support Tool based on the STEADI toolkit that would work within the GE Centricity EHR. A national team of doctors and researchers set out to create the content of the tool, and worked with PatientLink to build it. The team met regularly to review what Debi Willis, technical engineer on the project and owner of PatientLink, was building and to provide feedback through the entire process. In the first stage, PatientLink created a tool based on the complete CDC STEADI algorithm. Once ready to be tested in a real-life setting, PatientLink connected with physicians at Oklahoma University (OU) Medicine to test the tool. It was integrated into OU primary care practices where it was evaluated for its usability, technical soundness, convenience and modified based on feedback from doctors. The tool has multiple sections, divided into tabs for easy toggling. The first tab is the patient’s 12-question self-assessment, which they can fill out prior to entering the office. Based on their answers, the EHR tool auto calculates a fall risk score for the doctor. If the patient is at increased risk for falls, further assessment and preventive measures are recommended, which are facilitated by the EHR. For those that fail the initial screen, the doctor is guided through tabs including assessments (e.g., gait and balance), medication review, and a physical examination and plan of care tab, where the doctors can perform additional assessments if needed and develop a plan for follow-up care. For instance, if the patient had poor muscular strength, the doctor may suggest physical therapy. Then, the doctor can plan to meet with the patient again in six weeks to observe improvement and hopefully find that the patient has better balance and is at a lower risk for falls. Dr. Salinas shared that not only did he and his fellow doctors enjoy the tool’s ability to better assist and assess for fall risk, his patients appreciated the tool, as well. The patients interviewed provided positive feedback and felt the doctor really cared and wanted to help, versus only asking questions and moving on regardless of the response. After the first-round testing phase was complete, the doctors confirmed the tool was very helpful but had one overriding recommendation. They wanted the tool to automatically identify which of the patient’s medications might affect their fall risk. During the second stage of development, the national team got together to identify the medication categories that were associated with higher fall risk. The team wanted to provide doctors a way to easily identify whether their patients were taking medications that increased their risk of falling, in order to assist them in determining whether these medications should be stopped, switched, or reduced. Once the new tool was completed, the team sent it back to the doctors, who tested the tool with more than 500 patients, providing multiple rounds of feedback to the software development team along the way. The doctors found the new tool to be very useful. The only remaining problem was the time needed to fully assess a patient for fall risk and recommend interventions. Fitting fall prevention into a typical office visit remains a challenge. The Centers for Medicare and Medicaid Services (CMS) encourages fall screening by making it a component of the Welcome to Medicare Visit and the Medicare Annual Wellness Visit; however, these visits are not universally used and fall prevention is just one of many parts. Falls-related quality measures are also included in CMS incentive programs which provide an additional incentive for fall prevention. 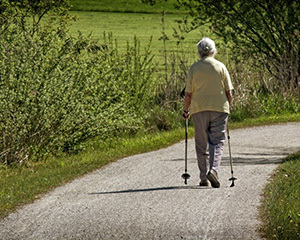 Falls are the leading cause of fatal and nonfatal injuries among older adults (aged 65 years and over). 1 out of 5 falls cause a serious injury such as a fracture or head trauma. By integrating fall prevention into clinical practice physicians have the potential to reduce future falls by nearly 25%. What do you think about the Fall Risk Assessment tool? Would your practice use it? Let us know!